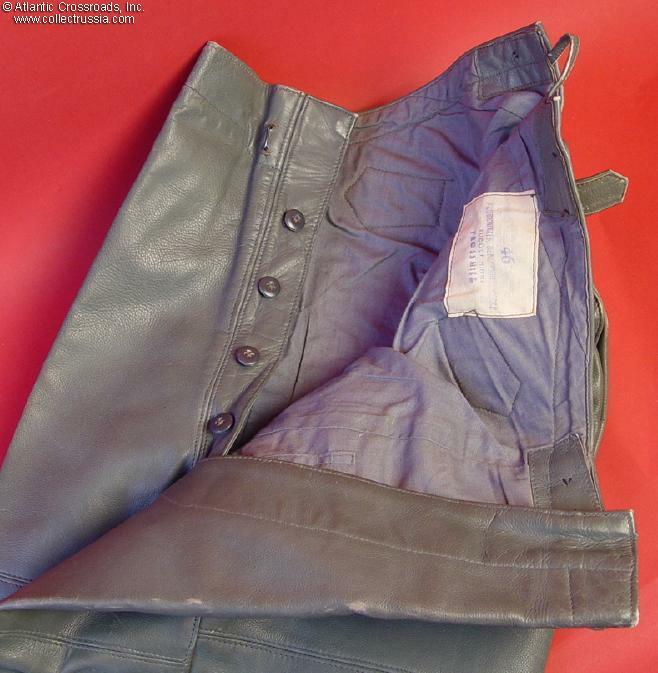 Kriegsmarine foul weather pants, in grey leather as worn by U-boat crew. 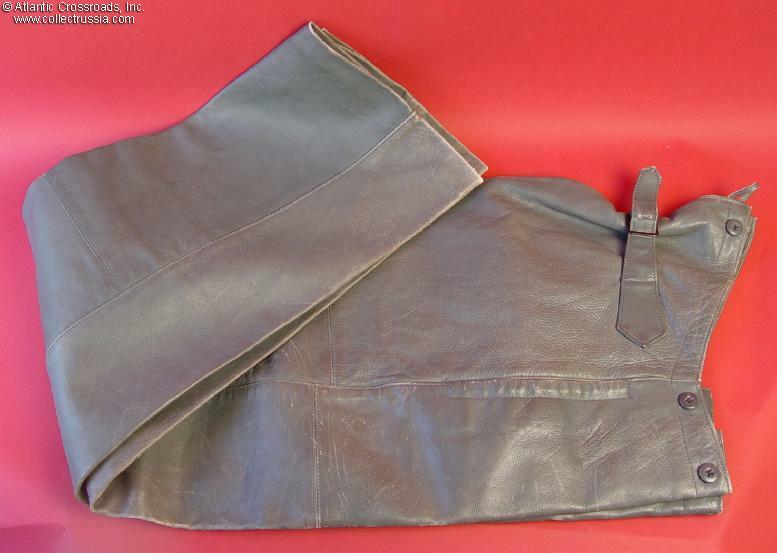 Kriegsmarine foul weather pants, in grey leather as worn by U-boat crew. In excellent condition. Leather is solid and healthy, with some light surface scuffing only. Finish is about 98%. Interior lined with light blue gray cotton cloth. Grey bakelite buttons. Maker label is blue ink stamp on white cloth. 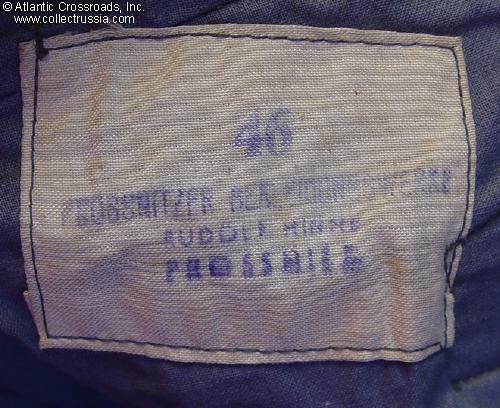 "Prossnitzer Bekleidungwerke, Rudolf Rinne, Prossnitz." German size stamp "46". US size is 30" waist and 30" inseam. 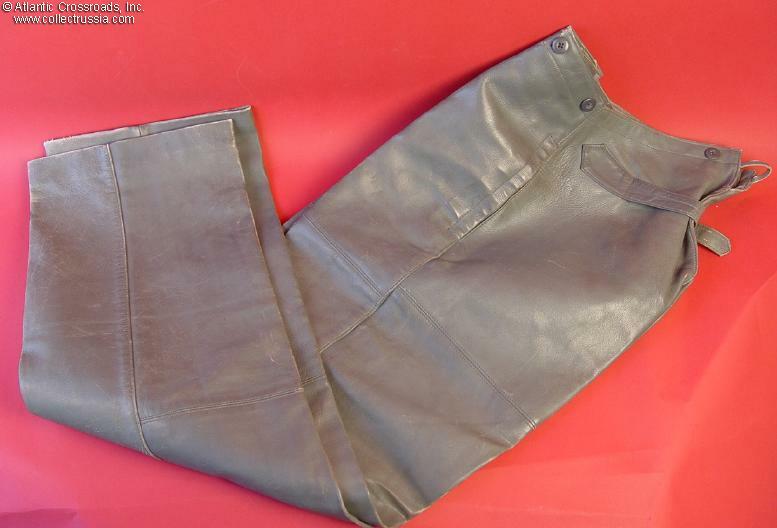 This type of protective leather trouser was commonly worn by U-Boat crews and deck crews of smaller craft such as R-Boats and Schnellboote, where working conditions were likely to be cold and wet. There were two types of matching jacket, made from the same grey leather, a double breasted overcoat, and a single breasted jacket with short stand up collar.